Wheelbarrow photo subjects: Ben Pidgeon (pushing) Ijah Robertson (riding). 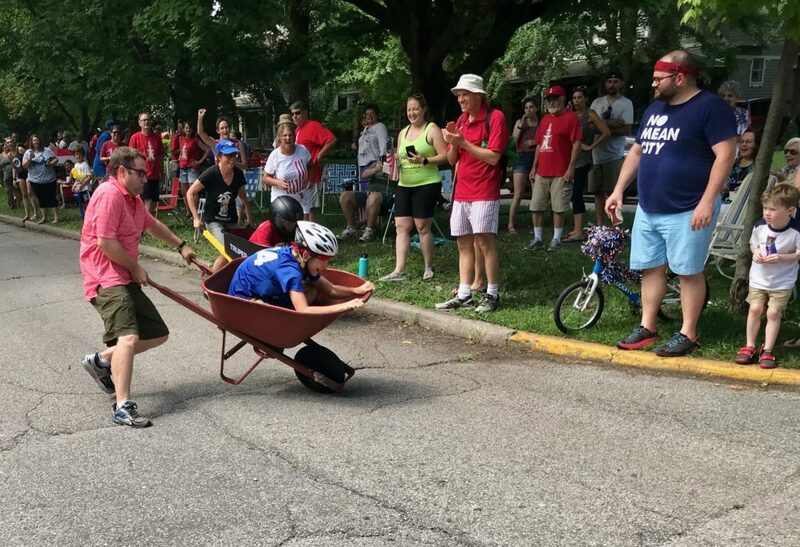 Caption: East Drive’s Ben Pidgeon makes a move for the inside corner during the annual Fourth of July wheelbarrow race in Woodruff Place. 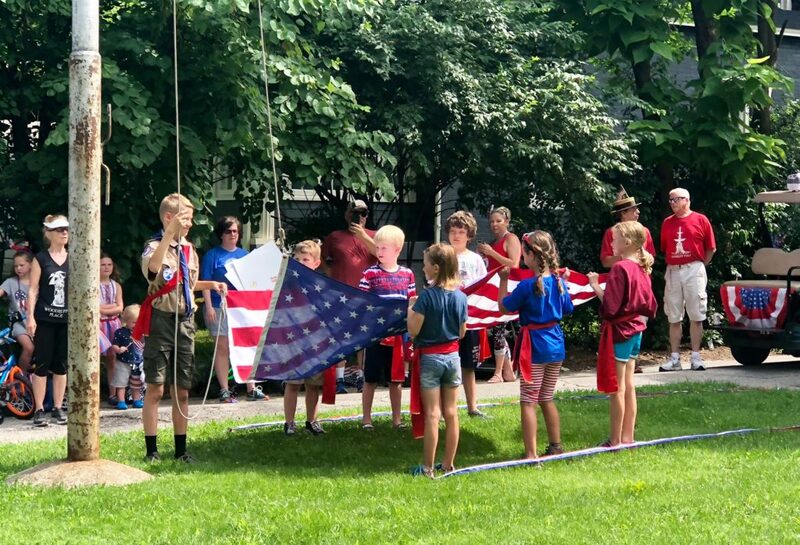 Caption: Neighborhood kids participate in the annual raising of the American Flag at the Fourth of July ceremony at Town Hall.